Chick and Dee-Dee live in New Hampshire where the Lamprey River flows into Great Bay. The clear blue sky makes the water sparkle and they start to wonder where all that water comes from. The two little birds decide to go exploring and fly up the river. They meet a few new friends that day and learn about many places to visit along the river as it meanders through woods, farms, and towns. This colorfully illustrated story is also an intriguing history lesson of ways people and animals have used the river. It tells us some ways to protect it and keep it beautiful and clean for generations to come. 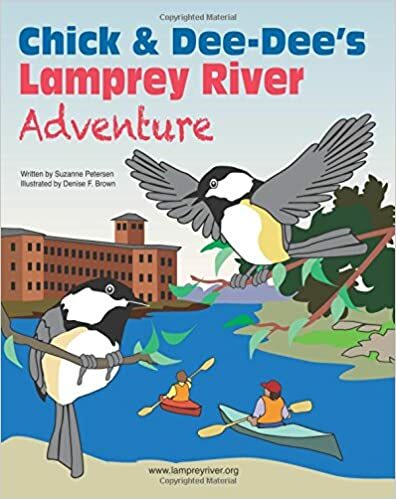 A handy map of Chick and Dee-Dee’s adventure is included so you and your family can explore the Lamprey River, too! The book is available to borrow at local libraries and for sale at various on-line book sellers. You may also request a copy by clicking the "contact us" tab on the homepage.